There’s no way around the fact that money will be an issue while you attend medical school. Whether it’s tuition, expenses related to studying and residency, or simple housing, food and transportation costs, money will likely be a cloud that hovers over your entire experience. However, you can stay on top of your finances by making and sticking to a budget. After all, making a budget now can also save you a lot of money later. Making a budget for medical school can have many positive impacts on your overall quality of life. While it will help you control your spending and avoid credit issues, it can also help you rack up less loan and debt, which means more money in your pocket upon the completion of school. You can begin creating a budget for medical school as you would by creating a budget for any other purpose. 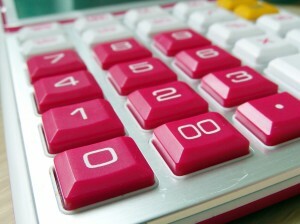 Start by calculating your monthly income, followed by all of your monthly expenses. Subtract your expenses from your income to determine how much (if any) money is leftover. You can separate expenses by the categories “fixed” and “variable”. Fixed expenses include things such as rent or insurance payments, while variable expenses are things like entertainment and eating out. You can generally save money by cutting back on some of your variable expenses. There are many things you can do to help save on monthly expenses during your time in medical school. Sharing a home with a roommate, using public transportation, borrowing library books and eating in can all pay big dividends down the road. You can also formulate a budget with the help of Cost of Attendance information that is provided by This information is typically included in your award letter and can easily be obtained if it has been omitted.